He may have played only 4 seasons in Paris, but Zlatan Ibrahimović left his mark on PSG’s history and helped the club reach a level of domestic dominance beyond any reach from the competition. With 31-point advantage and stunning goal difference of +83 Paris Saint-Germain ended the season on Saturday. It was also a memorable moment for “Ibra” during the game against Nantes, as he scored two goals and with the second one in the 89th minute (penultimate minute in his career at PSG!) he established a new record for the club, becoming the only player in history to have scored 38 times during one Ligue 1 season. He left the field early to a standing ovation. After his farewell club owner Nasser Al-Khelaïfi spoke to Swedish news station SVT and suggested Ibrahimović would be remembered in Paris in a special way. “We tried to do everything for him, because he deserves it. What I forgot to mention in my speech was that one of the stands will be named after him”, the Qatari investor said. Currently only the late club president Francis Borelli has a grandstand bearing his name at Parc des Princes. Zlatan would become the second club legend to be granted this honour. The Saturday victory over Nantes (4-0) also marked another record for PSG. 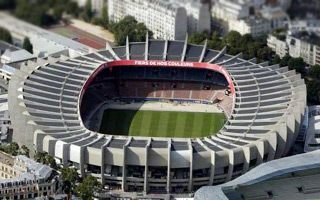 47,844 people is more than have attended any Ligue 1 game at Parc des Princes before. Although the stadium saw greater crowds during European clashes and rugby fixtures, this single attendance is still a great result. It’s also another proof of how strong the club has grown recently. Out of 10 most attended league games in history of the stadium, only two aren’t from the last two seasons and date back to early 1980s!